Brushing teeth can be very challenging for children with autism and we are keen to share some tips on how to help your child with this important skill. For many children with sensory difficulties the feeling, of having their teeth brushed can be completely overwhelming. 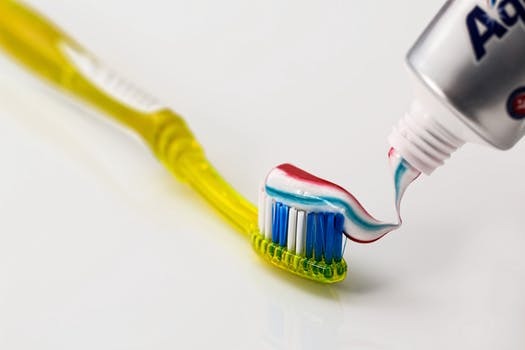 The taste of the toothpaste, feelings of the brush, as well as the sequence and complexity of the routine can result in the daily task being very challenging for everyone. There are strategies which we have found to be effective, but these take time and practice. There is also a practical issue of which brush or toothpaste to use. If your child is particularly sensitive to the brush there are many options of rubber brushes, silicone brushes, or brushes to chew onto, brushes with soft and hard bristles etc. Equally, toothpaste comes in different flavours, a light minty taste, to a strong minty taste or no flavour at all. The first thing to do is to teach your child that toothpaste is ok. Choose one that you think will be the most successful for your child. This may be a strawberry flavoured one, or a minty one. It really doesn’t matter. Once they are used to using toothpaste, you can look at changing it to a different one if you want to. But initially, stick with the same one. When you first do this, you should not expect your child to be rubbing the toothpaste on their teeth. The first step might be to accept the toothpaste being in the room or being in the tube near them. If this is the first step, that’s fine. Have it in sight for a very short space of time, then remove it and give the child something fun. When they are happy to have toothpaste around, increase the time it is around for. Then you can start to open to the tube. Put two small dollops on to a plate. Together, touch your respective dollops. Have some tissue ready to wipe it straight off your fingers. You can then show your child how to touch the toothpaste and then dab it on to your lips, teeth, tongue etc. Once all of this is done, it will be time to try it on a toothbrush. Bare in mind though, that these steps won’t happen overnight. It may take a few weeks of frequent practice to get to this stage, and that’s fine, it doesn’t mean you are doing anything wrong. The other thing to do, is to practice with the brush. Again, the first step might just be having the brush nearby. Then possibly allowing you to pick it up and hold it while you talk to your child or play with them. Then it might be that you ask your child to open their mouth while you hold the brush. Eventually you will be able to touch the teeth for a very short period. And, you guessed it, this time can gradually be increased as you practice it. The main thing to remember here, is that you want to keep it successful. You might feel that it’s taking a long time, but that’s much better than the child finding it stressful, as it will then take even longer. The other very important point, is that you need to make all of this worthwhile for your child. As soon as they have done whichever step it is you want them to do, ensure they have access to fun, motivating things.